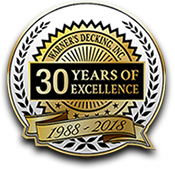 Warner’s Decking, Inc. has provided Plainfield, Naperville, and surrounding Chicago suburbs with professional deck design, deck building, an outdoor oasis, along with interior home remodeling services, since 1988. We are proud to have been named one of the first TrexPro Gold Contractors in the US in 2004. In 2008, we became a TrexPro Elite Contractor, being 1 of only 10 in the nation. Since then we have earned the supreme distinction of TrexPro Platinum Contractor, the highest level of recognition given directly from Trex! We are now certified to install helical piers! Enjoy the natural beauty and comfort of a new customized deck. Build a beautiful, quality outdoor living space for your home today. 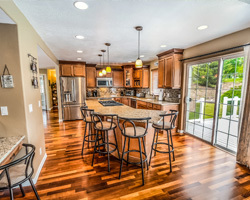 Add value and beauty to your home with a new kitchen remodel or finished basement.